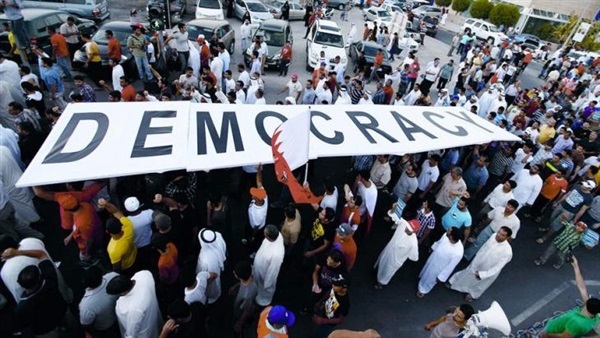 Democracy is undergoing an “alarming” decline across the world as a growing number of countries move towards authoritarian rule, according to the Freedom House think tank. The US organisation’s annual “Freedom in the World” report found 2018 was the 13th consecutive year of deteriorating freedoms around the globe. Russian president Vladimir Putin and Turkish prime minister Recep Tayyip Erdogan re-elected for further terms last year, while the National People’s Congress in China rubber-stamped an amendment abolishing a two-term limit on the presidency, allowing Xi Jinping indefinite rule. The present crisis has not arrived out of the blue, as Freedom House researchers concluded liberal democracy has been in retreat for over a decade. Since 2006, a total of 116 countries have seen a decline in democratic freedoms, while only 63 countries have experienced growth. “If the balance continues to tip towards dictatorship, the free societies that remain could find themselves isolated in a more dangerous and chaotic world,” said Sarah Repucci, a senior director at Freedom House. A growing number of political scientists believe they have identified a strain of thought among voters that goes beyond traditional ideas of left and right; a strain that cuts across class, education, income and religiosity – even across different political cultures. They believe understanding the concept of authoritarianism – and the authoritarian mindset of many voters – best explains the current crisis in liberal democracy. Academics like Karen Stenner, Stanley Feldman, Marc Hetherington and Jonathan Weiler have made a convincing case that a sizeable proportion of voters have a fundamental fear of diversity and complexity, and a strong desire for order and unity in their society. These citizens look at the world in a black-and-white way, holding a stronger-than-average need to distinguish between their society’s “in” group and various “out” groups and they are willing to disrupt established democratic norms if they feel the uniformity and hierarchy in their society is under threat. Few people formally identify with authoritarianism. It is not a phrase that shows up on placards, tweets or Facebook posts. So when trying to identify voters with a predisposition towards it, political scientists don’t ask them directly about their political views. Instead, four simple questions are posed about attitudes to family and child-rearing. People who say it’s more important for a child to respect their elders, be obedient, be well-behaved and have good manners (rather than say it’s more important for children to be curious, self-reliant, independent in thought and have consideration for others) reveal the basic traits of the authoritarian personality. Ms Stenner, whose 2005 book The Authoritarian Dynamic has become one the key texts in the field, believes the authoritarian mindset is a deep-rooted in all societies, even if western nations have chosen to ignore it in recent decades. In total, 33 per cent of respondents were found to be authoritarian, 37 per cent were found to be non-authoritarian, and 29 per cent were deemed somewhere in between. “The evidence shows that about a third of the population across liberal democracies is predisposed to authoritarianism,” Ms Stenner told The Independent. “Basically, they favour what I call oneness and sameness over freedom and diversity. “Importantly, authoritarianism is a latent individual tendency – it doesn’t necessarily always produce racial intolerance, moral intolerance, political intolerance, unless under certain conditions of perceived threat, especially when losing a sense of shared identity and beliefs, or losing confidence in leaders and institutions. “We seem to have reached the edge of what those with this predisposition are willing or able to put up with in a liberal democracy,” she added. “Whether due to the immigration crisis, globalisation, the perceived loss of national identity, some people are saying, ‘I don’t want to lose who we are, our way of life’." Authoritarians are not interested in right-wing economic ideas about the free market. Neither do they possess the classic conservative’s love of the status quo. In fact, as Brexit shows, authoritarian voters are willing to radically overturn the status quo in a bid to reassert a more uniform social order. Authoritarian Britons were found to be much more likely than non-authoritarian Britons to vote to leave the EU, according to analysis of the 2016 survey. In the US, the child-rearing questions used to identify authoritarian citizens also proved the best predictor of support for Mr Trump in the 2016 election campaign. As Mr Hetherington and Mr Weiler show in their book Authoritarianism and Polarisation in American Politics, the mindset may not be confined to any one political party, but it has become more intense among Republican voters in the US in recent years. Dr Matthew MacWilliams, a political scientist at University of Massachusetts Amherst, has interviewed dozens of authoritarian voters in the US and Europe for his research. He suggested the speed of change in the media landscape, aided by the bewildering impact of social media, has only fed authoritarians’ willingness to block out different views and listen only to the strongman’s promise of order. “A lot of them are nice folks, they just have this disposition to authoritarianism” he explained. “There were actually relatively few I didn’t like. They’re just not very good with complexity. Confusion can make them feel less in control and therefore more threatened. And that’s a dangerous thing. Ms Stenner believes those who wish to uphold liberal democracy need to change the way they think, talk and treat a section of society they have been too quick to demonise as “deplorables,” as Hillary Clinton infamously described Mr Trump’s strongest supporters. The political psychologist says the authoritarians’ views are “going to have to be more openly discussed, and must become part of the mainstream political conversation, or you’re going to keep getting this ugly, hysterical and outraged version of the conversation.